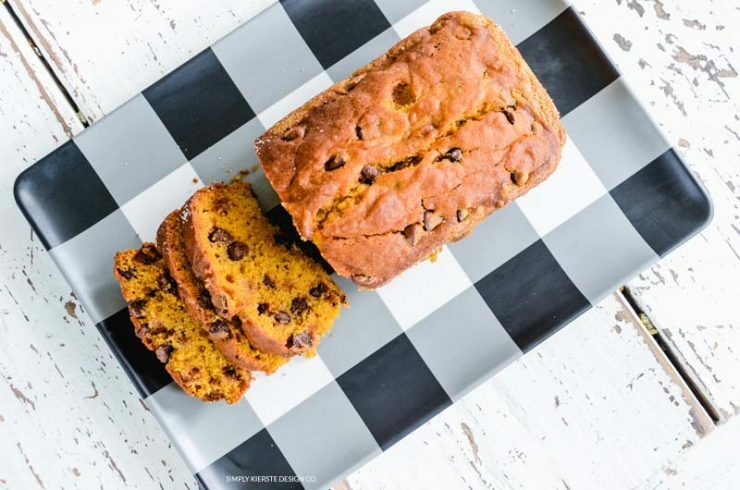 Chocolate Chip Pumpkin Bread Recipe | Simply Kierste Design Co.
Chocolate + Pumpkin = AMAZING! 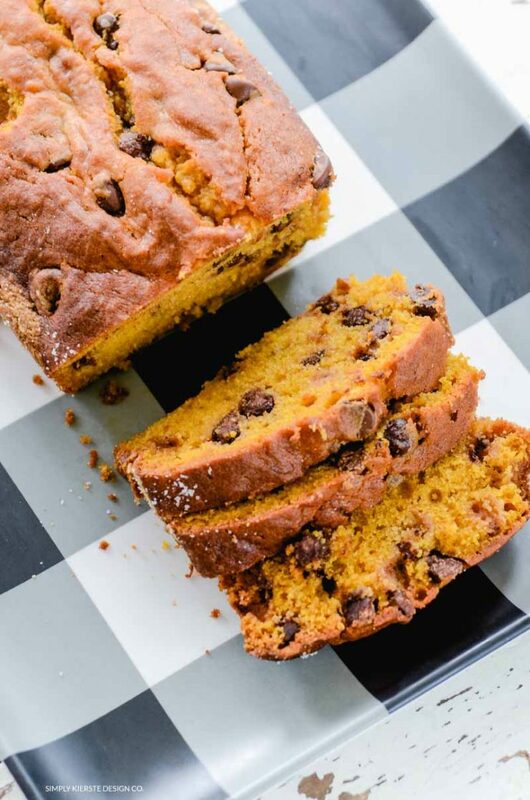 I love the pumpkin and chocolate together, and the bread is the perfect consistency. 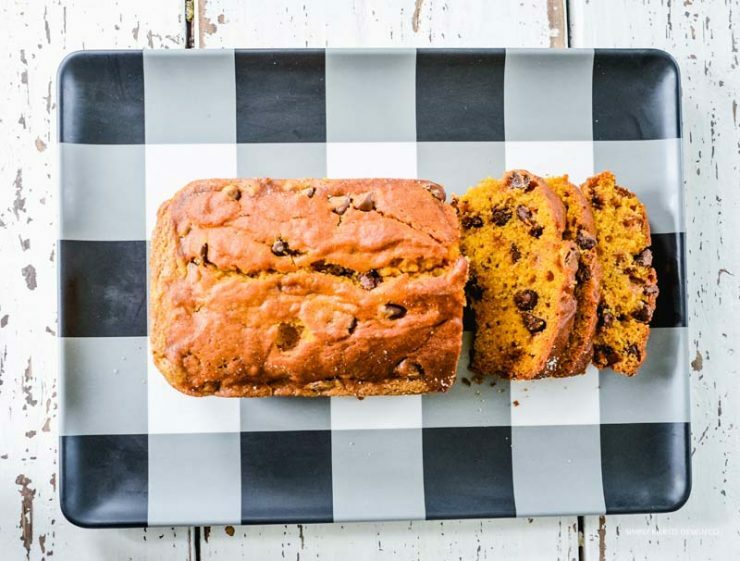 And best of all, you can whip it up in a few minutes, and this recipe makes two loaves–one to keep, and to give away if you want to! 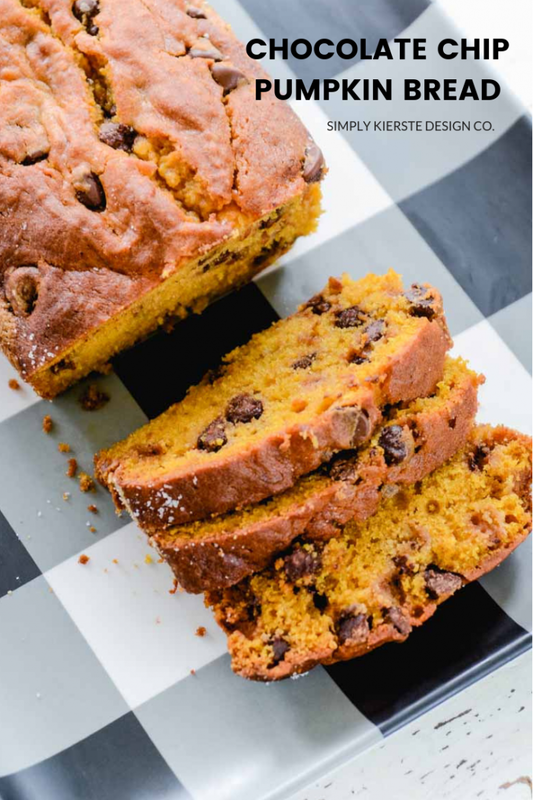 A little trick with the chocolate chips—mix them with a bit of flour (I have this in the recipe too) before adding them to the batter–this helps them not sink to the bottom while baking! P.S. 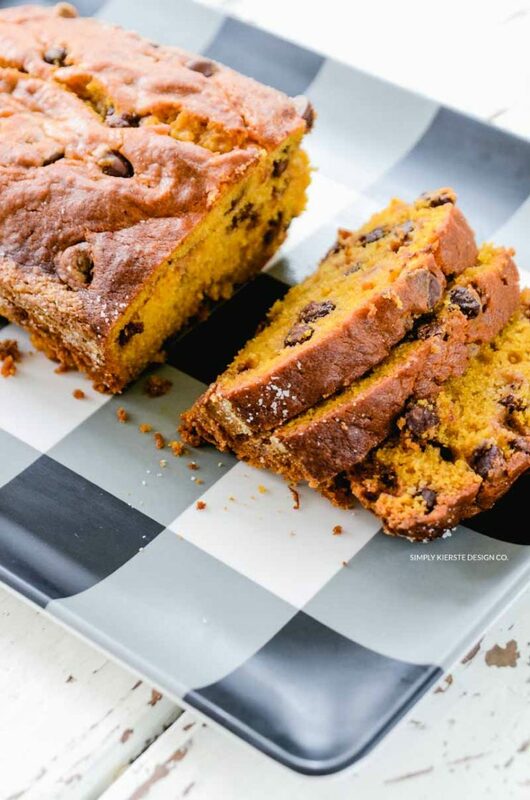 Even though I love cinnamon, I don’t like it in breads, so it’s not in this recipe. If you do, you can use 2 tsp. cinnamon or pumpkin pie spice. Preheat the oven to 350 degrees. Spray two 8x4 inch loaf pans with cooking spray, then coat with sugar. In a large bowl, mix the flour, salt, and baking soda, then set it aside. In another bowl, combine the eggs, sugar, pumpkin, and oil, and use a whisk to mix well. Pour the pumpkin mixture into the flour mixture, and stir only until moistened. In a medium-sized bowl, add the 1 T. of flour and bag of chocolate chips. Lightly coat the chocolate chips with the flour. This helps to keep the chocolate chips throughout the batter evenly while it's baking. Add the chocolate chips to the batter, and fold in. Pour the batter evenly into the loaf pans, and bake for 60-70 minutes or until the center is done, and a toothpick comes out clean. Bake it in mini loaf pans and give as gifts…I’ve got a super cute printable tag you can use! Just wanted to say hi and tell you how lovely your posts are. 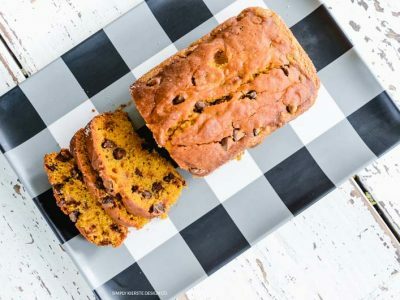 Was wondering if this particular recipe for pumpkin chocolate bread could be made gluten free friendly, substituting gluten free flour for example. Do you think that would be ok or it would change the final result? Okay, that bread sounds amazing and those scenic pictures are BEAUTIFUL!! It makes me miss living in New York… gosh, I need to come visit! I didn’t know you lived in New York!! Where? And yes…you need to come visit!!! What camera do you use to take such beautiful photos?